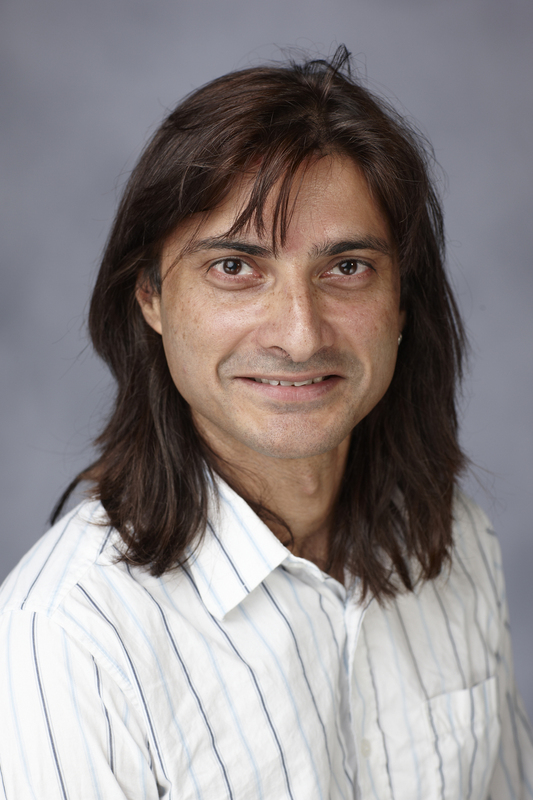 Pushkin Kachroo, engineering professor and the director of UNLV’s Transportation Research Center, is an expert in the theory and application of traffic control, transportation systems, and traffic dynamics. At UNLV, Kachroo has helped develop a new discipline in engineering: transportronics, which blends transportation research with electrical engineering. His Transportation Research Center team gathers and analyzes data to determine how to apply traffic lessons to the real world. With a state-of-the-art driving simulator, the team conducts extensive research on distracted driving scenarios, including text messaging, driving under the influence, and pedestrian safety. Kachroo has written 10 books in the past 12 years and authored more than 30 journal publications. He frequently presents to and participates in professional associations specializing in automatic traffic and vehicle control, intelligent transportation systems, and mobile robots. The skinny guy with the long hair, the earring, the jeans and the boots is more than he seems. Pushkin Kachroo is an author, a researcher and a professor at UNLV, and he's going to change the way you think about driving your car. A collection of recent news stories highlighting the people and programs at UNLV. UNLV opens its labs and takes its research out into the community during science week.